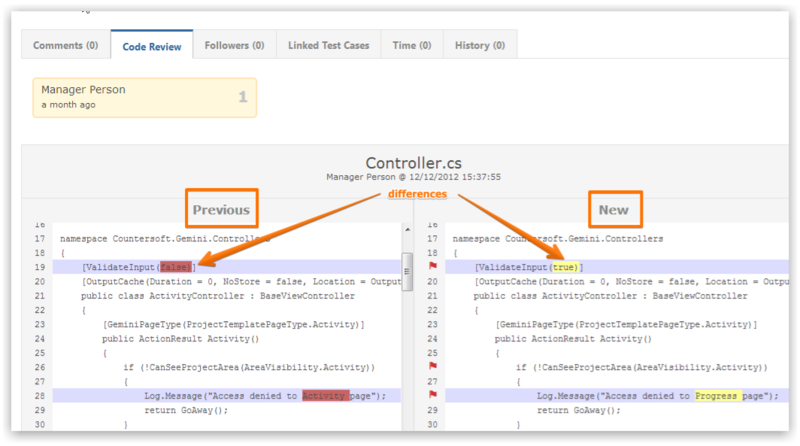 The Saucery app for Gemini provides Code Review capabilities for the following Source Control systems. 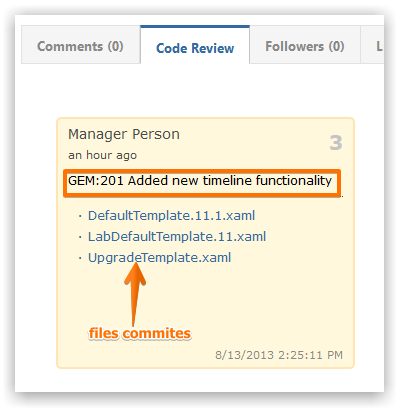 Associated file commits from Source control systems are displayed when viewing an item. Expanding a commit details the commit comment and the files that were committed. Clicking on a file brings details all the changes made. The previous and the new file are shown side-by-side with color-coded change highlights. 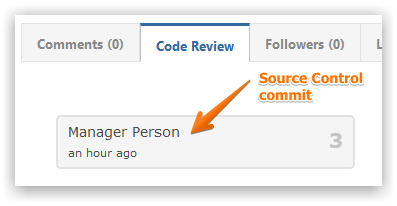 You can attach comments against individual line numbers. You can view comments against individual line numbers by clicking the Red Flag icon.